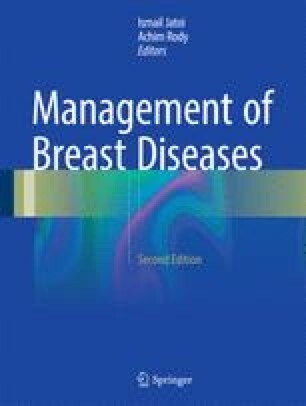 As breast centers in the United States began to proliferate over the past few decades, the American College of Surgeons joined forces with 20 national multidisciplinary organizations to set evidence and consensus-based standards that would ensure the optimal breast patient evaluation and management throughout the continuum of care. Since its first accreditation in late 2008, the National Accreditation for Breast Centers (NAPBC) has grown to 650 centers in 2016, including an increasing number of international centers. To gain and maintain accreditation each center undergoes a rigorous on-site inspection by a trained surveyor every three years. Preliminary data indicate that NAPBC accreditation streamlines care and improves outcomes relative to non-NAPBC breast centers. Much of the content of this chapter is derived from the NAPBC Standards Manual . American Society of Breast Surgeons [Internet]. Columbia, MD: The Society, c 2015 [cited 2016 May 13]. Guidelines and quality measures. Available from: http://www.breastsurgeons.org/new_layout/about/statements/#quality_measures. NQF Cancer Project Report from 2012 “Cancer endorsement summary.” National Quality Forum. October 2012 [cited 2016 May 20]. Available from: http://www.qualityforum.org/WorkArea/linkit.aspx?LinkIdentifier=id&ItemID=72130. The American College of Surgeons [Internet]. Chicago, IL; The College, c 1996–2016 [cited 2016 May 13]. National Cancer Data Base Breast Cancer Benchmarks. Available from: https://www.facs.org/quality-programs/cancer/ncdb/qualitytools.